My Belizean Adventures on San Pedro Island, Belize! 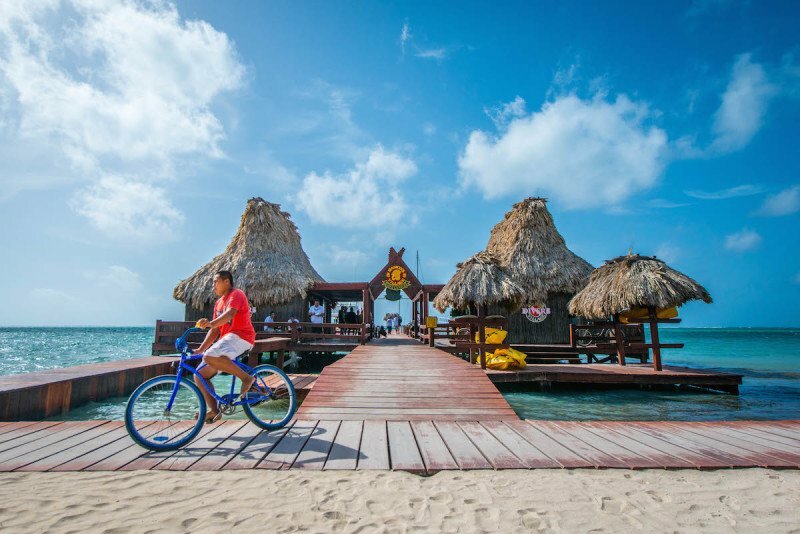 Belizean adventures like snorkeling off Ambergris Caye, exploring the local life, and sampling the food scene are real on the Belize island of San Pedro. One thing’s for certain, if you’re considering a vacation here, there are certainly plenty of things to do. During my trip out, I was lucky enough to have been reached out by and comped a flight with Southwest Airlines; certainly one of the courtesies of pursuing a professional travel blogging career. After organizing my accommodation with Xanadu Island Resort which was, in my opinion, the best eco-friendly resort at this popular Belizean destination, I arranged a date and time to begin my next leg of travel. Before I knew it, after spending some time in downtown Denver, Colorado, I was boarding the plane and in route to Belize City, by way of Houston International Airport. One of the many things I loved about San Pedro island was certainly the ease of access to the beach, as well as the very short commute to one of the Caribbean’s best diving spots. 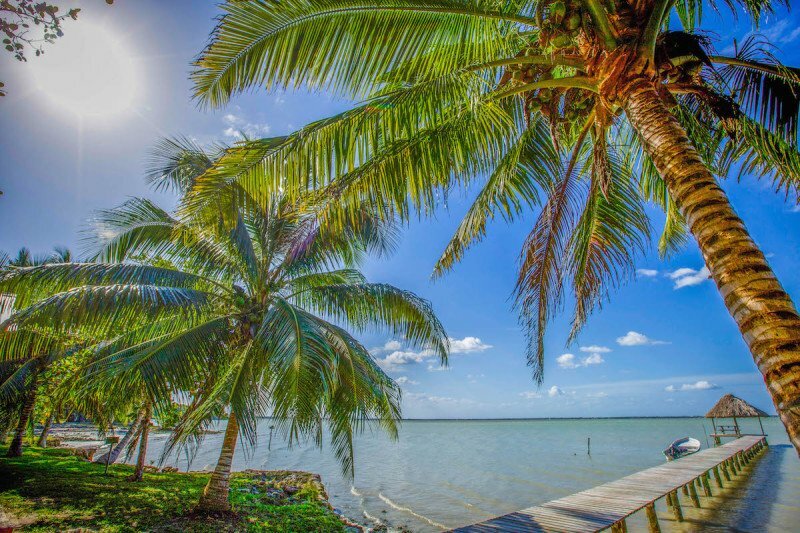 Despite Belize being located in Central America and much closer to Mexico than you would imagine, you couldn’t help but feel the laid back vibes that are pretty commonly known across the Gulf of Mexico in the Caribbean Islands much further East. San Pedro Island has evolved over time from a small fishing village to what is now quite the popular tourist destination for travelers coming from all around the world. However, as I walked from my hotel down the sandy paths and onto the brick laid road, it was quite obvious the island hadn’t lost it’s charm. Similar to many of the villages of Northern Laos, locals and tourists both got from place to place primarily by 3 forms of transportation: golf carts, biking, or by foot. And although most of the shops off the main stretch were obviously focused on selling knick-knacks and different forms of Caribbean art, it didn’t take much of an effort to explore the island from more of a locals point of view. 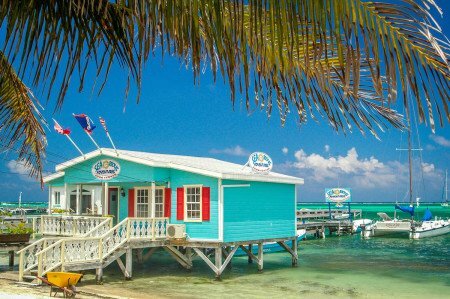 In fact, I pride myself on finding local, affordable food in even the most touristy of destinations and the popping island of San Pedro, Belize certainly wasn’t an exception. 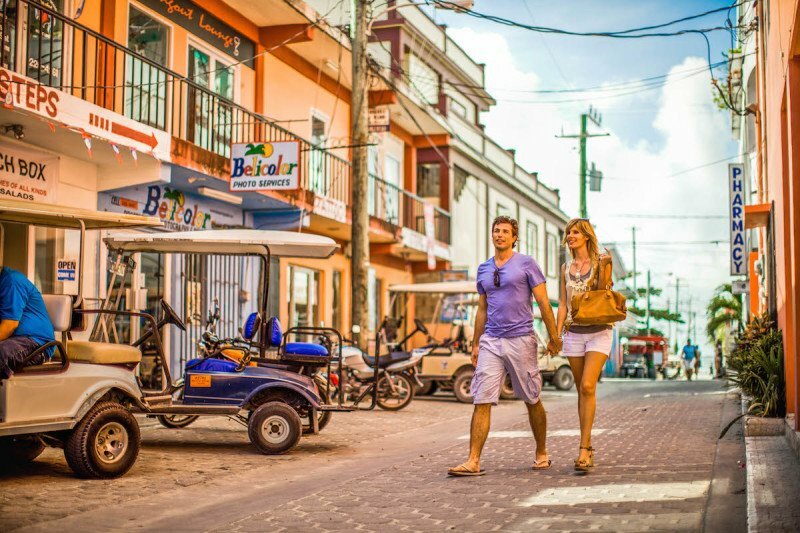 If you simply walk between 2-3 blocks in the opposite direction of the main stretch, it’s easy to find small establishments that sold popular local Belizean dishes like tamales or rice & beans for just a few US Dollars as compared to popular restaurants who would sell that same dish for up to $10-$15. And naturally, what better way to digest a good meal than enjoying a nap under the swaying palm trees overlooking the Gulf of Mexico or, if you’re more adventure inclined, grab your snorkeling equipment and explore the reef which was, like everything else, just a few blocks away. All in all, my visit to San Pedro Island was certainly enjoyable, although a bit more expensive than I would’ve initially assumed (rivaling that of Costa Rica); yet, it was still affordable as compared to Western destinations like Banff or San Francisco. If given the chance, I would most certainly book another flight to explore the island once more, enjoy the Belizean cuisine, and go diving off the worlds 2nd largest coral reef! Have you ever traveled to San Pedro island off the coast of Belize? I’ve never been to San Pedro, but would love to visit! I love the colorful buildings, especially the one over the water, and the beaches look amazing. And, it’s great you found some cheap food–always nice when you can get a meal for only a few dollars! recently I’m more and more interested in Central America and Belize is definitely on my radar! I’m not into diving and snorkeling but everything else sounds like my kind of thing! Hopefully soon I will be able to go there too! Thanks for swinging by Kami! Even if you’re not into snorkeling or diving, the town is still beautiful and well worth a visit. During the right time of year, you can watch the whales migrating here as well as check out the local food scene. It’s certainly not HUGE, but if you’re needing a getaway, this is a good place to go! This is wonderful and thanks for sharing, I love to snorkel and I did it many times. I would suggest people to do it once in your life time. This will be an awesome experience. I’ve traveled to Belize once, but never to San Pedro Island. I’ll have to apply and get my scuba certification as it sounds like quite the place to explore underwater! Fantastic trip Ron, I’m planning a trip to Belize very soon and San Pedro Island is definitely on my list! What an adventure! What was your favorite local food that you’d recommend?